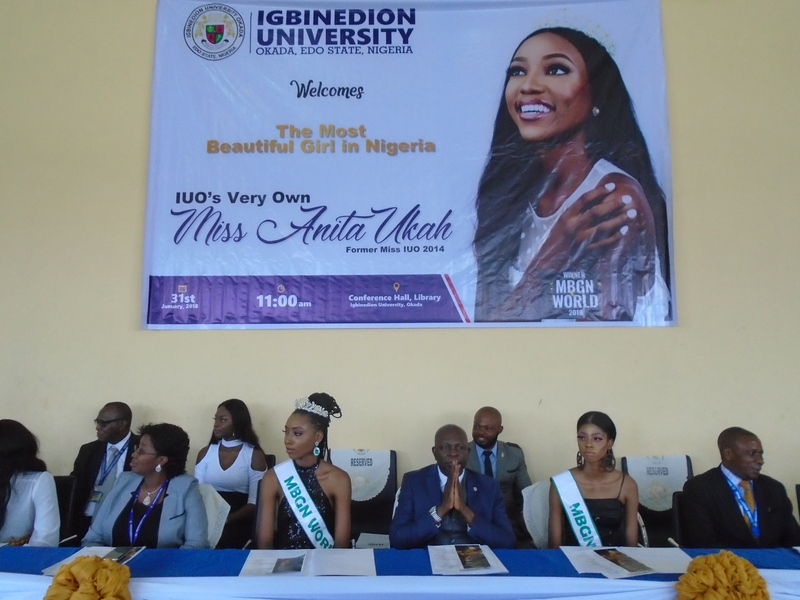 The most Beautiful girl in Nigeria (MBGN World 2018) and former Miss IUO 2014, Miss Anita Ukah, a graduate of Medical Laboratory Science was recently hosted by the Management of Igbinedion University, Okada. 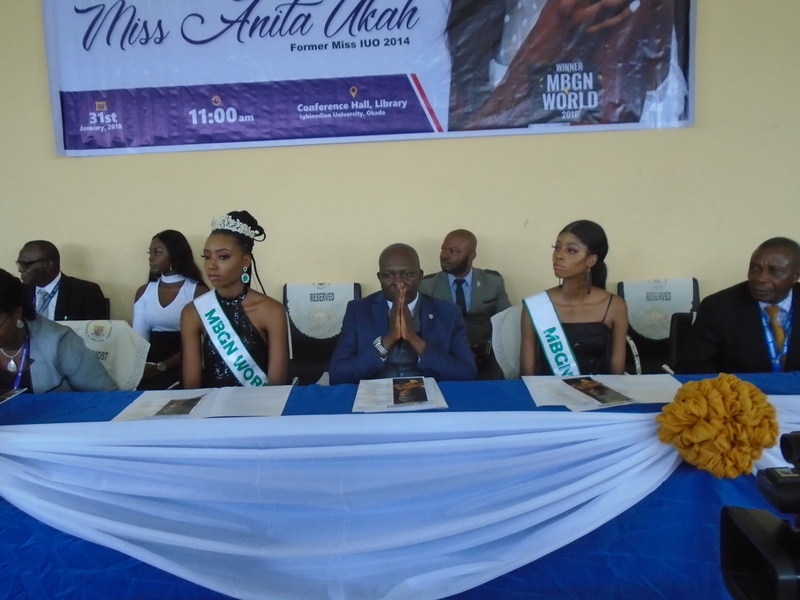 The Beauty Queen was accompanied by the most Beautiful Girl in Nigeria for West Africa Miss Valentina Ogbonna and the immediate past most Beautiful girl in Nigeria for West Africa, Miss Chikodi Nna-Udosee. The Event held at the University Central Library Conference Room under the chairmanship of the Vice Chancellor Prof. Lawrence Ikechukwu Ezemonye. Speaking at the event the Vice Chancellor described Miss Anita Ukah as a strong Ambassador of the University while noting that IUO remains an institution built on Excellence and honor. According to the Vice Chancellor, the excellence of a University is reflective on its performances even in accreditation exercises. The Vice Chancellor announced that all the eleven programs recently visited by the National Universities Commission (NUC) have been fully accredited and that the Entrepreneurship Center in the School rules the world of entrepreneurship. He also noted that Igbinedion University has entered series of partnership such as with the Institute of Chartered Bankers, the Institute of Chartered Secretaries and Administration and the Institute of Chartered Accountants which will enable students qualify for chartered professions even while in school. The Vice-Chancellor said that the University just received invitation from the Canadian International modern United Nations conference which will hold in March this year and for young scholars. The University also plans to embark on both academic and cultural tours in Japan this year March 2019. Thereafter was the presentation of goodwill messages by the Dean of Basic Medical Science Prof. Sunday Josiah, HOD Basic Med. Lab Mr. Anthony Nwaobi, President of Med. Lab Student Association and the representative of Alumni Hon. Kelvin Ezenyili. 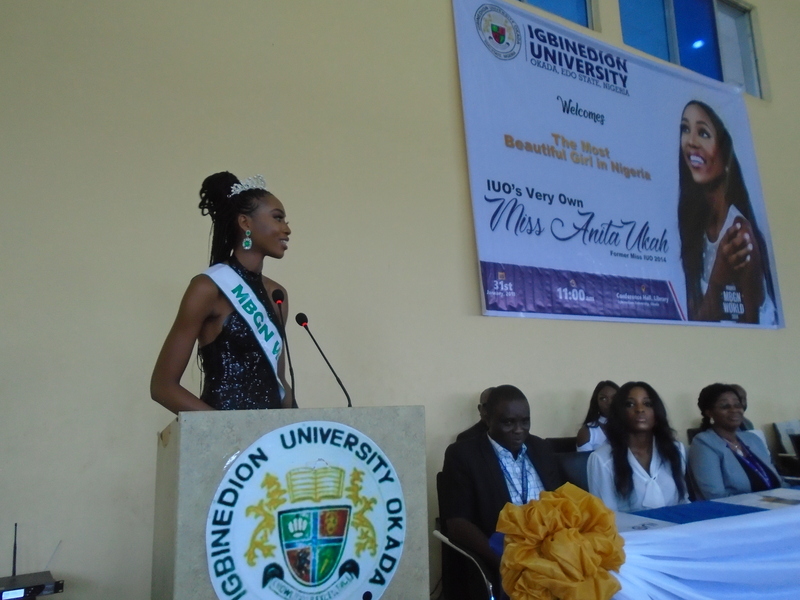 Miss Anita Ukah (MBGN) thanked the Management and everyone present for making the Event a Success, despite the short notice of her coming to IUO. She advice the students not only to come out the best in school but also to have something unique to offer to the world. 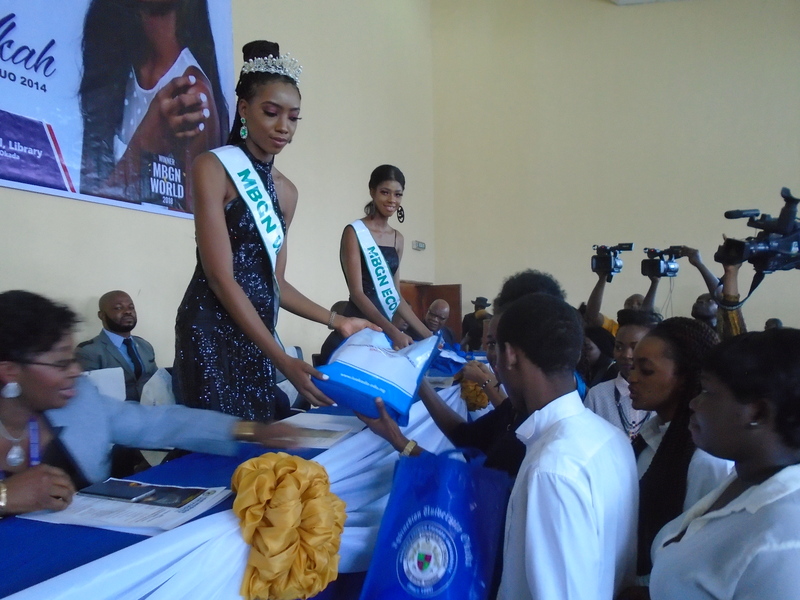 There was a dance and drama presentation in her honor by the theatre arts Department, when she was presented an award of excellence by the Vice Chancellor Prof. Lawrence Ikechukwu Ezemonye she also recieved lovely gift such as Ankara bags and Edo Attire by the Centre of Entrepreneurship Centre. Finally, the DVC Prof. Deborah Odejimi thanked Miss Anita Ukah (MBGN) and everyone present for coming.